The emergency room, as it was once known, is not like other areas of the hospital and is certainly nothing like a doctor’s office. It is a fast-paced, unpredictable place to work, and it requires a well-rounded staff of physicians, nurses, nursing assistants, technicians, and many others. According to the Centers for Disease Control, there were over 140 million emergency department (ED) visits in the U.S. in 2015. Since working in the ED of a hospital is so different from other healthcare settings, it is important to speak with someone who has experienced it before choosing this path for your nursing assistant career. Shadowing a current ED staff member is another great way to determine if it is right for you. Although EDs vary from hospital to hospital, there are some universal, essential aspects to keep in mind. Working in an emergency department is very different from the way it may seem on television and in movies. Shows like “Grey’s Anatomy” and “ER” depict an emergency department as being a non-stop thrill ride full of severed limbs and impaled patients. 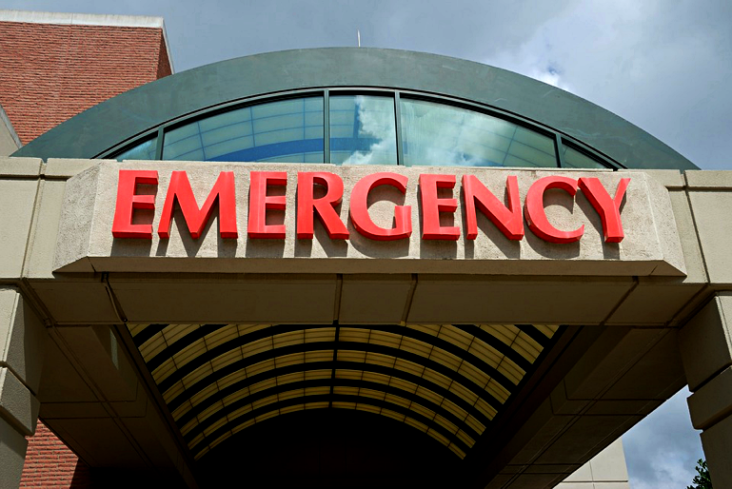 In reality, many patients who come into the ED are not actual emergencies. The most common presenting symptoms include headaches, abdominal pain, back pain, and chest pain. The most common serious injuries seen in a typical ED include head injuries, broken bones and gunshot wounds. So, unfortunately, it is not quite as dramatic as TV writers want you to think. The ED is divided into several different sections depending on the severity of the patient’s chief complaint. Triage is an area of the department where the patient initially checks in and gives the clerk and nurse their basic information, including demographics, symptoms and previous medical history. After this assessment, the nurse decides which area to transfer the patient to for care. Fast Track is the name some hospitals call the area with the least urgent patients. Common symptoms seen in Fast Track include UTIs, colds, fevers, sore throats, and simple lacerations. Level Two is the area for patients with slightly more serious symptoms. This is typically the largest section of the ED, and patients come in with problems like pneumonia, chest pain, kidney stones, and abdominal pain. Nursing assistants will perform a wide variety of tasks when working in these areas of the ED, and they are very much appreciated and needed by both nurses and physicians. In most hospitals, the CNAs will help transport patients and equipment, sterilize cuts and scrapes, perform EKGs, monitor and report on patients’ status, and many other essential duties. The patients with potentially life-threatening illnesses such as heart attack, stroke or renal failure are taken to the Critical Care unit. This area usually consists of 6-8 beds, ICU-capable nurses / nursing assistants and limited visitors. The section of the ED with the most severe injuries is the Trauma Room or Trauma Bay. Trauma patients are almost always in need of surgery, which is why trauma teams contain trauma surgeons who must be ready to operate 24/7. This area is quite small, usually containing 2-3 beds, because patients don’t spend much time here before being transported to the operating room. However, it is an extremely important room filled with special equipment not found in the rest of the ED, so the staff working here must be specifically trained to use it. Nursing assistants get to help transport and monitor this equipment, as well as the patients. They can also be trauma scribes, resuscitation members, and help with plastering and fitting of crutches. Often times, they are allowed to draw blood and dress wounds. Most wounds in the trauma unit are quite severe, often resulting from gunshots, car accidents, etc., so CNAs must be especially prepared when working in this environment. It takes a special kind of person to be able to work in an emergency department. It is by far the most chaotic, unpredictable healthcare environment to work. The only daily consistencies are the staff running around trying to treat critically ill patients, while hysterical family members chase after them. Physicians, nurses and CNAs all have to be extremely understanding, good at multi-tasking, able to make tough calls, and remain calm under pressure. Although it may be stressful at times, the wide variety of cases and fast-paced nature of the ER will never leave you unsatisfied. Working in an outpatient office that specializes in cardiology or oncology for example can become tedious after a while. Performing different duties every day and assisting in saving someone’s life is exhilarating. Also, nursing assistants and patient care technicians tend to have more responsibilities in an ER than other parts of the hospital because every team member is essential. So, if you are looking for a challenge and want to make the biggest impact, the emergency department might be the place for you. Why wait? Get started on your career as a healthcare professional by becoming a CNA today. We offer locations in Tucker, Gainesville and Duluth. ©2019 Woodruff Medical. All rights reserved.